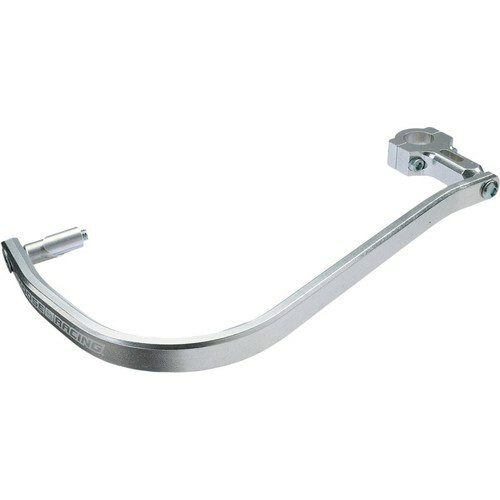 Product Note: Fits 65cc-85cc 2-stroke bikes and 70cc-125cc 4-stroke bikes with 7/8" handlebars. Will these fit a 2017 kx250f?? These guards will probably fit, though you may run into clearance issues with the hand controls and the handguards themselves. For a better fit, check out the Moose Standard Handguards as those are built to better fit larger bikes like the KX250F. About the only difference is the overall length of the guards from the mounting points at either end, and also - they're a little longer front-to-back (when mounted on the bike) so as to provide the requisite control clearance.